During May we completed a new project for Tasha's Fantastic Fudge. It was for a set of 8 custom-designed retro-styled fudge bar wrappers for Umhlanga SuperSpar. 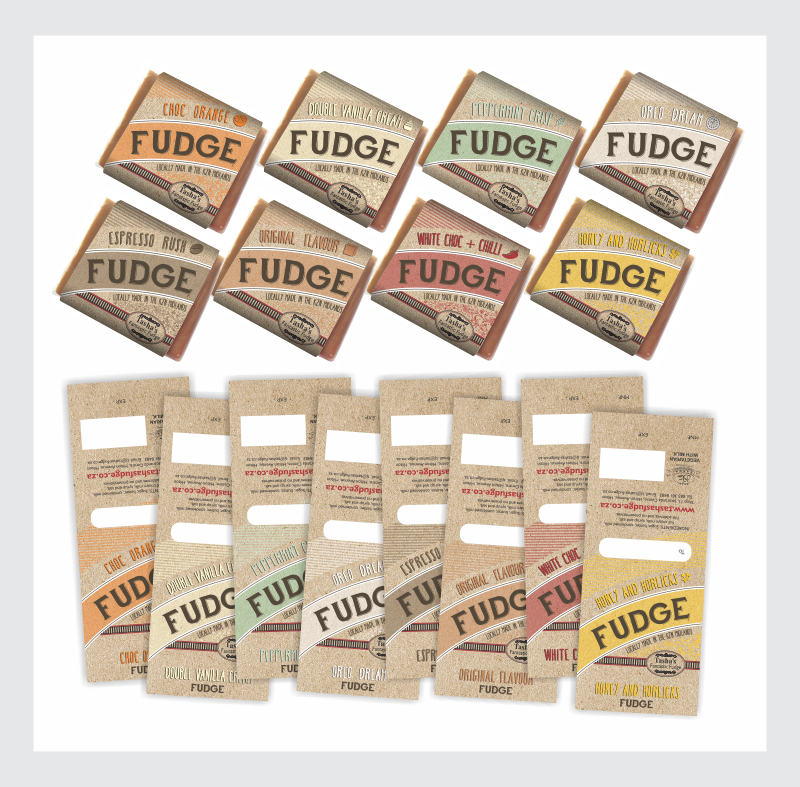 How about these amazing individual fudge flavours? Choc Orange, Double Vanilla Cream, Peppermint Crisp, Oreo Dream, Espresso Rush, Original, White CHoc + Chilli, Honey and Horlicks. Yummm. So, if you're in Umhlanga, hop along to the SuperSpar in Ridge Road and grab yourself a few bars, one of each, preferably. Plus, they'll make great Father's Day gifts!